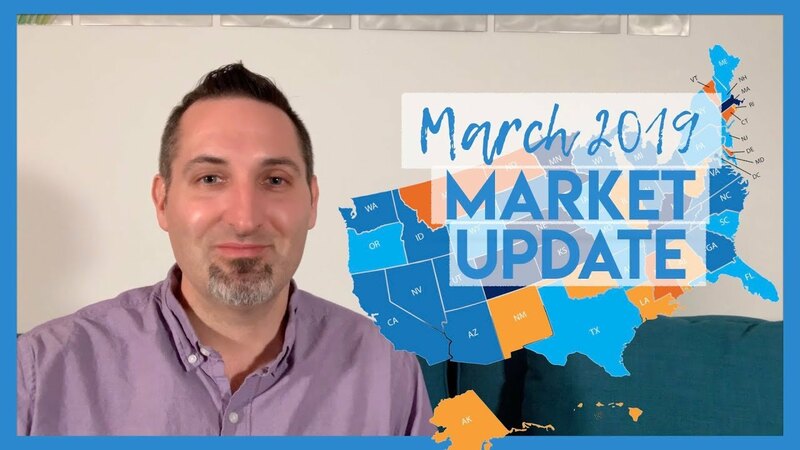 It’s time for our March 2019 Market Update! 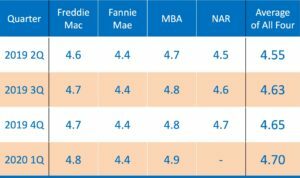 Are you worried that mortgage interest rates are heading sky high? Are you waiting to buy a home because you’re worried about the next recession? 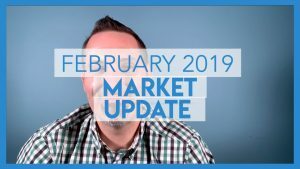 If these sound like the thoughts that have been flying through your head, you may want to check out this month’s Market Update. Let’s talk facts! 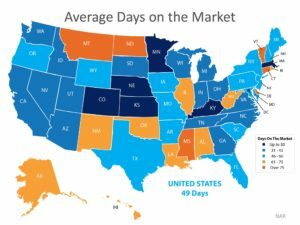 If we look at the average day on market nationally, we can see that Maryland is hovering between 41-60 DOm. The bulk of the country is below 75 days which is pretty wild. For better or worse, in this fast world of information and on demand pricing, buyers easily teeter on and off the fence. 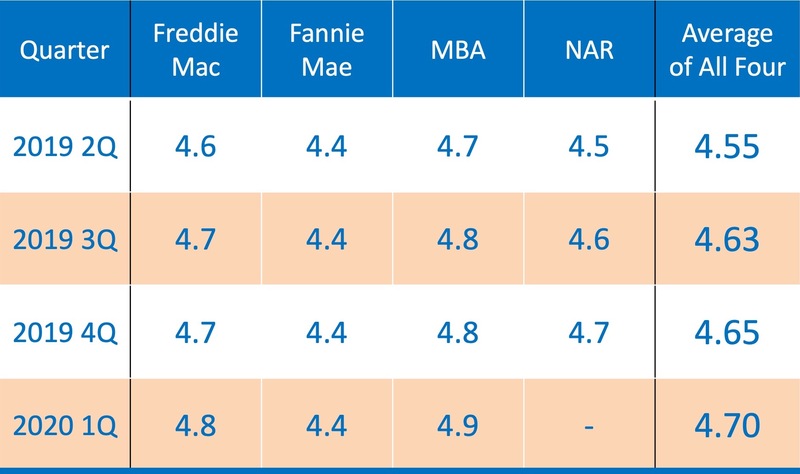 Good news here is the between Freddie, Fannie, MBA, and NAR the expectations is that the mortgage interest rates will stay at a moderate amount and slowly cheap up. So perception of the market is interesting… I know quite a few buyers who will tell you the market is HOT and they are in multiple offer scerniores. But at the same time I run into some people who are afraid of prices declining if there is a market slow down. 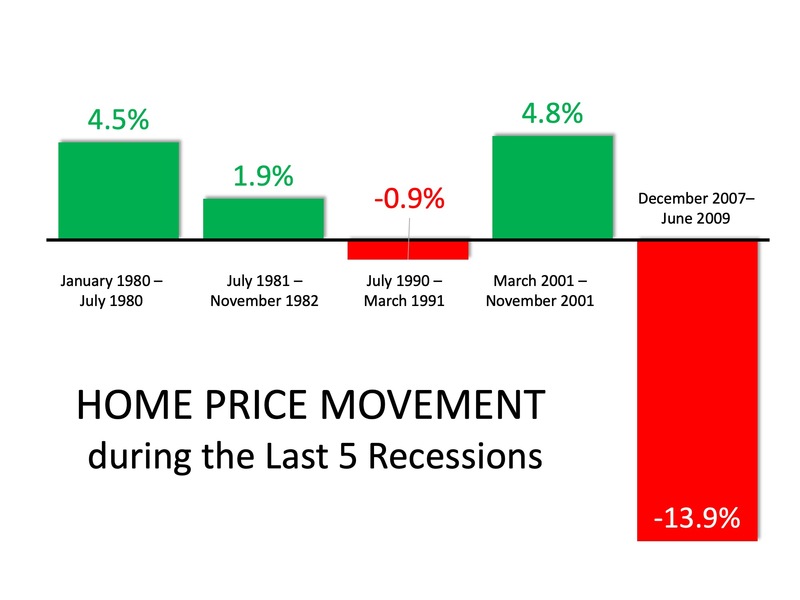 So check this out, in the last 5 recessions, 3 of the 5 the average sold price went up not down. 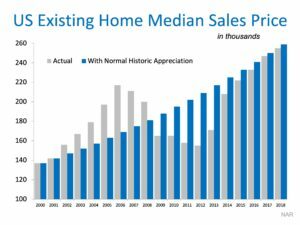 And if you saw my February 2019 Market Update last month you know that 94 of the top 100 real estate and finialcial experts believe the median sales price will go up in the next several years. Next check this out. Many of the negative nancys out there like to point to the case shiller report and show that we are due for a down turn in the median sales prices… and if you only look at 2000 till now, I might agree if that was my only data set. But its not. 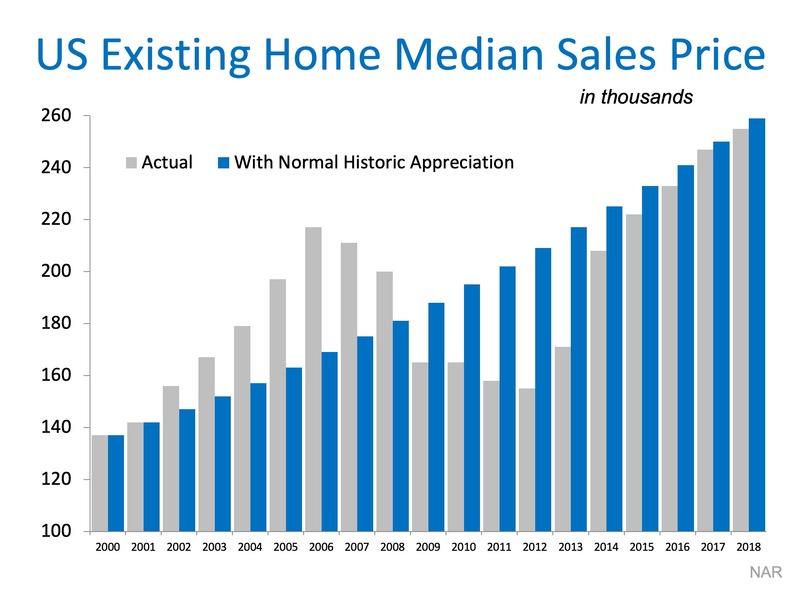 Whats wild is if you were to project the normal historic increase over the same period of time (basicly discounting the crazyness of 2004-2008) then our sales prices are right in track with where we would expect. As far as sales prices, its almost as the boom and the crash never happened. What does this all mean, well quite simply The national trends and metrics are saying we have a healthy stable real estate market. That all said we know Real estate is local… So lets dive into some of the Local stats. As af Februry our Annapolis closed deals are slightly up to 89 compared to a 5 year average of 81. Interestingly though our pending contracts are slightly down. Our months of supply are holding steady in the low 3’s. I do expect this to tick up a hair as the spring market hits and more homes come on the market. The median sold price is about $415,000 which is down from last year. I dont put to much stock in this though since there were a couple properties that through these numbers off. Overall we did see an increase of inventory of about 10% compared to last year. I said it last month and I will say it again, this is the year that regular people selling homes come back. For a few years it has been about the flippers and new construction. I believe 2019 is the year regular sellers take the mantel back. One curious stat… the market speed up in February. I believe this is a combination of low/steady interest rates, more home options on the market and the government staying open. Lastly, no surprise when I broke down the stats by price points, properties in the first time home buyer range were moving faster. So thats it, if you have any questions on what this means to you please leave a comment below or shoot me a message and I would be happy to give you my take. Please Like this video and thanks for watching. I am Brendan Spear with Caprika Realty.